More than ever, the children of our generation need opportunities to express themselves in meaningful and heartfelt ways. Our mission is to resurrect the lost art of sincere communication through the beautiful language of music. Our dedicated top professional instructors take students of all ages and abilities on a journey of self-discovery that results in confident musical storytellers who learn how to shine brightly with confidence, character, and clarity of intention. With our convenient location in the heart of Lexington, MA, we are an easy 15-20 minute drive from the surrounding communities of Bedford, Burlington, Lincoln, and Woburn. We have a wide range of times available and can accommodate busy families, working professionals, and students. Join us and experience the magic of music! The Maestro Musicians Academy offers Lexington Music Lessons in piano, violin, guitar, cello, voice, trumpet, drums, and more. The Maestro Musicians Academy of Lexington is located at 2600 Massachusetts Avenue's United Methodist Church. We are a conveniently near Rte. 128 and Rte. 2, giving you easy access from the suburbs of Lexington, Bedford, Burlington, Belmont, Lincoln, Woburn, Waltham, Arlington, Winchester, and Concord. Find out more about us here. Performance Opportunities for Children Two Times Per Year! Your children will have an amazing time performing on the big stage. Our supportive teachers and audience of parents, family, and friends, make our spring and winter concerts a wonderful experience. Music lessons are the perfect tool to teach children the skills of forming a goal, working toward it, and rejoicing in its successful completion. We believe that when there is a genuine desire, EVERY child can benefit from this experience at the Maestro Musicians Academy of Lexington. Provided that our students are ready, we support any child's goals to perform in a non-pressured environment. We recognize that busy parents today simply don't have the time to get around. We will take our music lessons to your home! Maestro Musicians Academy's professional music instructors offer private lessons in the comfort of your own home. This is a popular choice for two-income households and stay-at-home moms. We are happy to work on your schedule! Dedicated Instructors Who Love What They Do and Care About You! 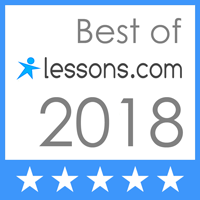 In addition to having training from superior conservatory and university programs from around the world, Maestro Musicians Academy of Lexington music teachers are performers who teach through a love of what they do. They treat every adult or child student as a unique individual who learns in his or her own way. Every teacher is chosen for their patient, gentle, and kind approach to sharing their craft. Whether you or your child is interested in beginner classes or school/community orchestra auditions, we can help train for your goals! The Maestro Musicians Academy offers a special tiered reward system for children to take an active role in their own progress. Through stickers, certificates, prizes, and trophies, our Lexington Music School students are rewarded and challenged for good listening skills, following directions, seeing a project from start to finish, and goal-setting. Maestro Musicians is the only community music school in Boston that offers this type of training! We work with our students to form long-term and short-term goals that are both musical, artistic, and FUN. One of the most rewarding aspects of taking music lessons is for the social interactions that result from making music with friendly people. Adults love learning music in an ensemble. Our specially tailored group singing classes are suitable for both retirees and working professionals. Music with friends is the PERFECT solution to unwinding after a long day of work. It is also the ultimate weekend social and learning activity for kids! Find out how to Free Your Natural Voice! Maestro Musicians Academy shared a post. "My daughter has been with Maestro Musicians for 5 years of steady progress. She's now in high school, reads music fluently, and plays both solo and in small ensembles. Her teacher has been consistently encouraging, patient, and very professional. I would recommend Maestro Musicians to anyone looking for music lessons for their kids." "Two of my children take guitar lessons with teachers from Maestro Musicians Academy, one for two years, one started this year. The teachers are professional and will work with your child to become a technically strong player in addition to fun pieces. This combination is not always easy to find; my older son had to re-learn some basic forms as his previous teachers were more sloppy players. They enjoy their teacher and like to play guitar!" "Since Fall 2017, my 13 year old son has been taking trumpet lessons from Maestro Musicians. His teacher is patient, kind and very accomodating. He strikes a nice balance of being an amazing trumpeter and teacher, but also taking an interest in my son’s life outside of music and making an effort to connect on multiple levels. My son looks forward to the lesson every week (and it hasn’t been like that with other teachers). He's teaching him trumpet and they're having fun too. " Maestro Musicians are the Maestros! "My son has been taking violin lessons with Maestro Musicians for 6-8 months. I find Daniel Broniatowski extremely cooperative and flexible and my son's teacher is superb. I highly recommend Maestro Musicians!"